One might say that I have a slight problem when it comes to natural and organic skincare products. My problem is that I always enjoy trying out new ones which leaves me with a bathroom cabinet overflowing with various items. I think my husband moans a little bit when he sees a new package arrive at our door. Recently I was introduced to Moody Sister Organic Skincare. Right off the bat I knew I wanted to try their products because not only are they organic but they are also handmade by two sisters. Founded by two sisters who are different as can be, even down to their skincare needs! 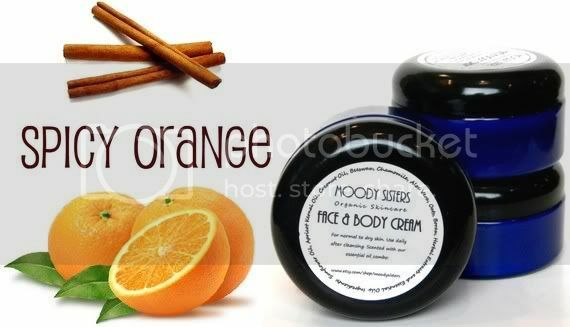 Moody Sisters Organic Skin Care caters to “moody” skin. Moisturizers and cleansers designed for sensitive and troubled skin. Free of chemicals and preservatives, these are not only 100% organic and environmentally “green”, but vegan products as well! Moody Sisters sent me a cute Sample Pack to test out which contains four .25 oz jars of some of their top selling item. In mine I received the Spicy Orange Face & Body Cream, Almond Face & Body Cream, Hydrating Cleanser and Lavender Powder Deodorant. I used both cream on my body and I enjoyed them both. I love anything with a citrus smell, especially orange, so I really liked the scent of the Spicy Orange cream. The spice part of it was a really nice twist. It went on nice and smooth and not too greasy. The Almond cream has a much subtler scent and is also a little bit thicker. I liked using this on my really dry areas like knees and elbows. Both of these creams are for normal to dry skin. Keep in mind that if you are allergic to almonds you should avoid and of their almond products. The Hydrating Cleanser has a little bit of a mint scent to it which is nice. This is not like a typical cleanser that is going to give you lather with lots of bubbles. In fact there are no bubbles at all, this is more of a cream cleanser. You massage it right onto your wet face, rinse and then remove any access cleaners wit a wet washcloth. This is best for dry or eczema prone skin. The Hydrating Cleaners left my face feeling very soft and definitely moisturized. I have oily skin so I have been using this two times a week to give myself a moisture boost when needed. I was a little hesitant to try the Lavender Powder Deodorant because I am not a fan of lavender. In all honestly, I usually hate it and it gives me a headache. But I thought what the heck and twisted open the jar to take a whiff. The lavender scent is not overpowering at all and it didn't bother me. In fact I even kind of liked it. So I went ahead and put some on. This is a loose powder so I used my fingertips to apply it under my arms which seemed to get the job done. I applied a lot as I have never used powder before and wasn't sure how much I needed. Keep in mind that this is NOT an antiperspirant so you will still sweat. The goal here is keep the odor causing bacteria at bay and have you smelling like a lavender flower instead of an onion. I put it on after I showered right before bed, then again in the morning when I woke up. Its been a hot week plus I have been doing my 20 Second Fitness workouts every day, so it really got put to the test. By midday I did notice a little stink creeping in so I don't know that I will permanently switch from my current natural deodorant. Though I think I might try a combo of the two and see how that goes. All of the Moody Sisters Organic Skincare products are 100% organic and tested only on themselves and their husbands. The deodorants are also Paraben free which is great since Parabens, a preservative, have been linked to breast cancer and found in breast cancer tumors. Some of their products are even vegan free like the body wash and eye makeup remover. For long term storage, some of the products do better in the fridge so be sure to read the product labels and directions! The Moody Sisters also offer a recycling incentive program. If you send them back your empty, clean bottles, they will give you a $2.00 discount off your next order. Overall I was very pleased with my Moody Sister Organic Skincare products and I am very happy to have them be a part of my skincare stash. One (1) winner will received a $20 gift certificate to use at Moody Sisters Organic Skincare. Does not cover shipping costs. Visit the Moody Sister Organic Skincare Etsy shop and tell me which product you want to try the most. 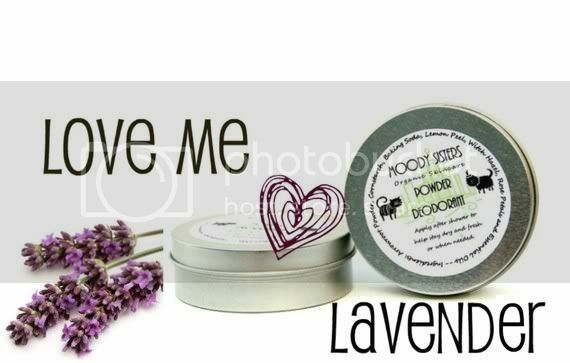 - "Like" Moody Sisters Organic Skincare on Facebook and tell them I sent you! Please leave me your first name and last name initial to validate. Worth 2 entries so leave 2 comments. - "Like" Green Mama's Pad on Facebook. Please leave me your first name and last name initial to validate. Be sure to say hi to me! This giveaway is open to legal US & Canada Residents 18+ only and will end on Thursday, June 16 at 11:59pm EST. One winner will be chosen at random using Random.org and will be posted on the Winner's Announcement Page. Winner has 48 hours to claim his/her prize otherwise a new winner will be picked. Please leave your e-mail address in all of your comment(s) so I can contact you. I will not share your e-mail address with anyone, it will strictly be used to notify you if you win. Good luck! Please note that the opinions and views expressed in this review are my own and based on my personal experience with the product and/or company. You may encounter a different experience with this than I did. I received a product free of charge for review. I'd love to try a new skin care line. Especially one that's organic. Love to get away from all those chemicals! I'd like to try orange face & body creme. The smell of the oranges would be heavenly. Thank you. I've been having trouble signing in with blogger and Google. I have to post a comment anonomously. +2 Like Moody Sister Organic Skincare on Facebook and left a comment with my first name. What I want to try the most is Kiss My Almond Lip Balm- Organic .15 ozs. I love the smell of Almond! Liked them on FB - they have great stuff! 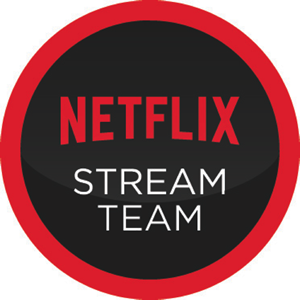 Plus, I like the name of the company. Moody sisters - I have 3 of those ,lol. I'd like to try the skincare set for oily skin. Foaming face & body cleanser looks great! I'd love to try the Daily Toner with Acne Treatment! I would love to try the lemon face and body wash. Yum! Love your heroes post! I want them to come take care of me!